It can be hard to imagine what the Fruitvale neighborhood was like 100 years ago. 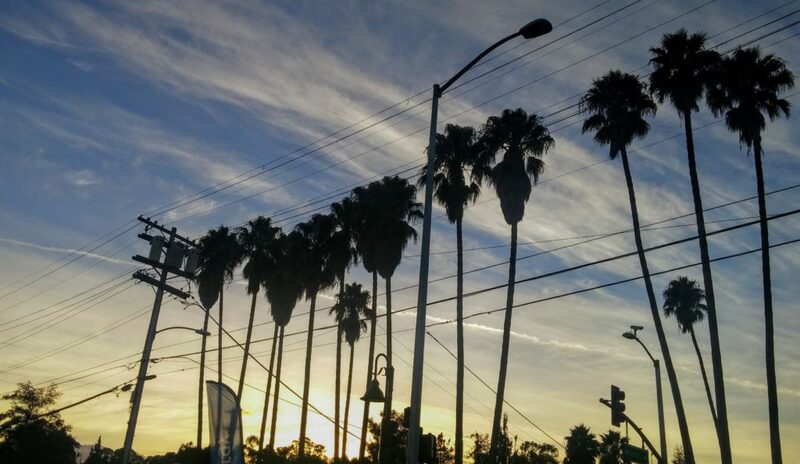 Originally named for orchards of cherry and apricot trees, the fertile soil, once rich from the Sausal and Peralta Creeks, has been paved over with a patchwork grid of low-rise housing and small commercial buildings. Aside from a handful of historical sites such as the well-preserved Peralta Hacienda and the crumbling Fruitvale Hotel, there are few remnants of the area’s rural Old West roots. Today, Fruitvale hums with both the hustle of a major city and the crickets of a small town. Like creeks flowing down Oakland’s hillside, the narrow, cracked asphalt of Fruitvale Avenue brings a steady stream of cars, buses, pedestrians, and paleteros toward the Bay each day. Parents walk their children along side streets, to and from school, as the handles of their baby’s stroller work double-time to haul bags of groceries or collected cans and bottles. After nightfall, neighboring arteries like International Boulevard persistently trickle and spurt as Johns cruise The Track and circle back. While Fruitvale’s farming days may be long gone, the neighborhood still boasts signs of nature’s bounty around every turn. Fresh produce markets and sidewalk fruit stands are as prevalent as liquor stores. In springtime, tiny thickets of loquat trees thrive in the neglected spaces between sidewalks and fences, all around the houses and apartments near Josie de la Cruz Park. Concrete walls shine with bright colors from hand painted murals, often featuring Oakland pride or Aztec symbols like the divine hummingbird. While International Boulevard hosts one of Oakland’s largest, bustling commercial districts, Fruitvale Avenue, between MacArthur and Foothill Boulevards, has a fair share of small businesses, too. When Oaklanders hunger for lumpia, tacos, burgers, fried catfish, papusas, or chow mein, Fruitvale’s eateries can satisfy each craving. Local shoppers in need of custom artwork, car parts, laundromats, or chicken feed can find it all on this one mile stretch of Fruitvale Avenue. 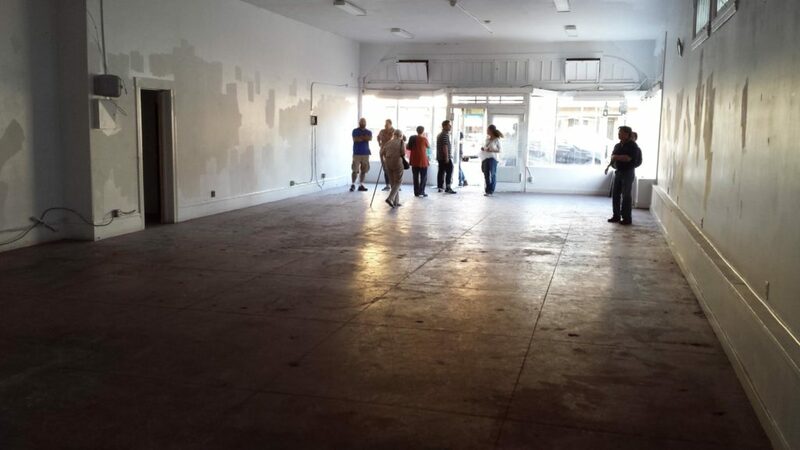 At the intersection of East 27th Street, the small retail building located at 2701 Fruitvale Avenue is particularly meaningful for some neighbors. Built in 1930, the two-story structure still has its vintage tile storefront. The neon letters of the marquee blade sign that once spelled “liquor” are long gone. The glass windows sit covered in brown paper, waiting to be unwrapped like a forgotten gift. It wasn’t that long ago when the retail space’s last incarnation, Lucky Strike Electronics, brought misery to the corner. Operated under the guise of an “internet sweepstakes cafe,” the previous tenant ran an illegal casino where computers were used as slot machines. “It required concerted action by the neighborhood and various city agencies to shut it down,” he added. These efforts culminated in January 2015, with a lawsuit filed by Oakland City Attorney Barbara Parker and a police raid to seize the gambling equipment. For nearly two years since the casino’s closure, proactive neighbors coordinated via a Facebook Group called Fruitvale Many Hands. 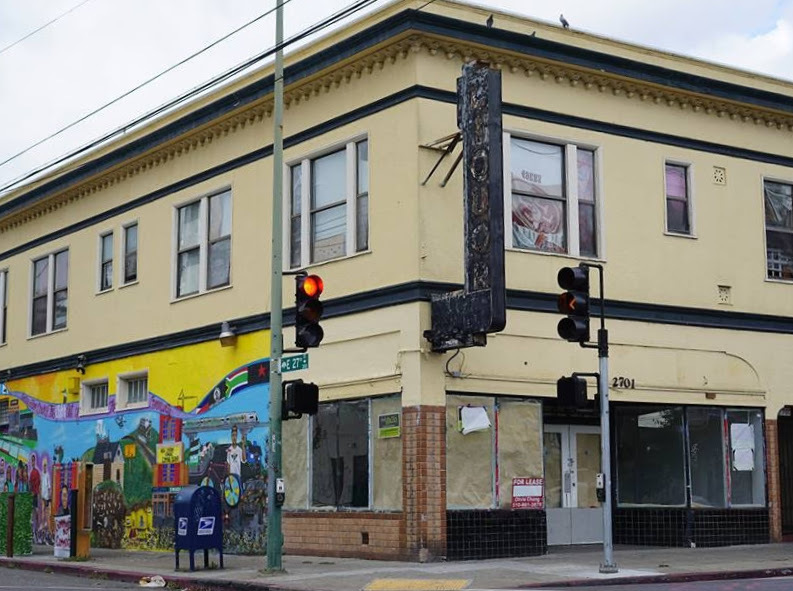 Group members met regularly with the property’s landlord and prospective tenants, trying to find a small business to serve Fruitvale’s current residents and offer a healthy addition to the block. 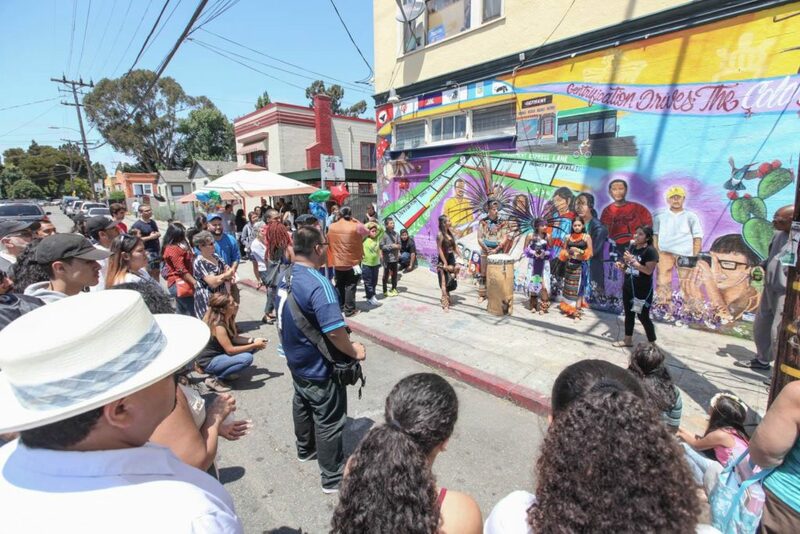 Last summer, energy on the block lifted, as migrant youth artists from the nonprofit 67 Sueños hosted a celebration to unveil their anti-gentrification mural along the building’s East 27th Street-facing wall. 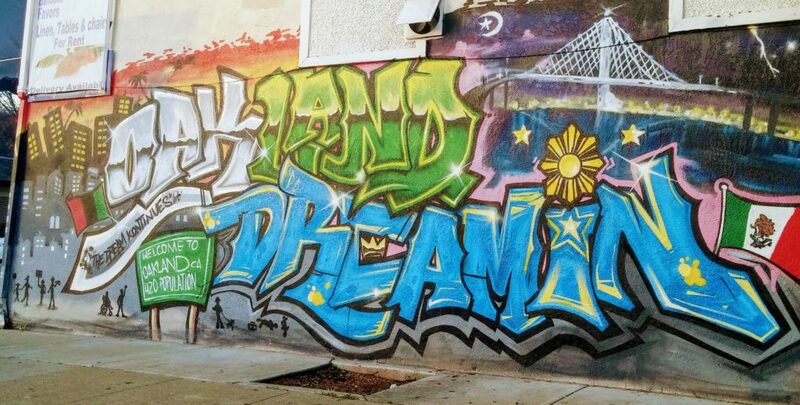 Titled “Town Roots: Oakland is Home,” the mural project was funded by the Akonadi Foundation and is dedicated “to all the Black and Brown men and women who have left us due to police violence, racism, and gentrification.” The mural’s message echoes the rally cries of Fruitvale’s early Chicano movement, when protesters mobilized in 1968 after Oakland Police shot and killed 23-year-old Charles “Pinky” De Baca. By September, an exciting prospective tenant emerged. 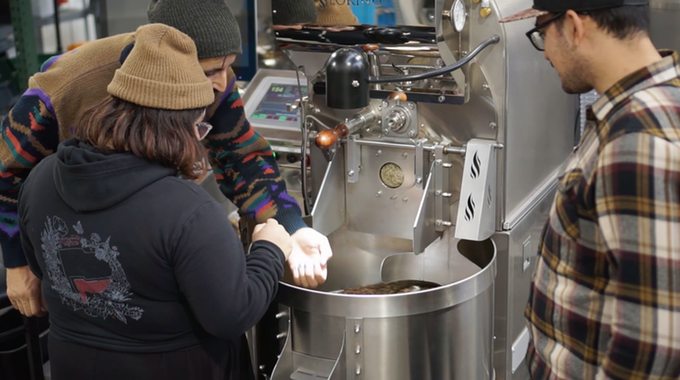 Three Oaklanders came together to form a worker-owned cooperative Latinx coffee shop and socially-conscious bookstore called Hasta Muerte Coffee. Their vision includes using the cafe as a community meeting space for tenants rights workshops, bilingual counseling, and other programs to benefit the community. Hasta Muerte Coffee founders Matt, Kari, and Loren. Photo Source: Hasta Muerte Coffee. But first, the founders must raise enough money for building renovations. The Hasta Muerte Coffee Kickstarter campaign ends on December 1, 2016. An online crowdfunding platform, Kickstarter requires a project be fully funded, meaning if Hasta Muerte Coffee doesn’t reach its goal by the deadline, then it has to start over at $0. At the time of this writing, the campaign was still about $2,500 short of its $35,000 goal, with fewer than three days left. After enduring the illegal casino and vacant storefront, it’s easy for neighbors to get excited about Hasta Muerte Coffee. ”I enthusiastically support a business that is so community-focused and social-justice oriented,” Carlson said. Future home of Hasta Muerte Coffee. Photo Credit: Hasta Muerte Coffee Facebook. Plus, Hasta Muerte Coffee’s offering of Latinx books and zines could be another key contributor to the community’s mental health and wellness. There are currently no bookstores or magazine racks in Fruitvale that offer socially-conscious reading. While book or zine sales may be an unlikely source of revenue for Hasta Muerte Coffee, Yglecias believes, given the current political climate, access and exposure to bilingual literature is vital for the neighborhood’s youth to develop a healthy sense of self and well-being. “It’s really important and inspiring for Latinx youth to see their own story written, to see how they are not so alone, especially in these times of Trump and anti-immigrant attacks,” Yglecias said. 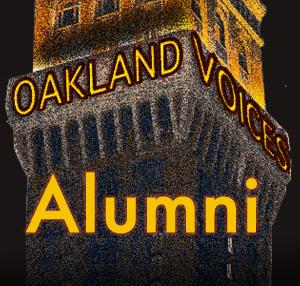 An Oakland resident for over 20 years, Kat Ferreira's local Fruitvale area roots skip back a few generations to the early 1900s. Active in the community, she has volunteered with a variety of Oakland-based nonprofit organizations and neighborhood groups, including the Eastlake Music Festival, Friends of the Oakland Fox theater, Wardrobe for Opportunity, and more. Her professional background spans the public, private, and nonprofit sectors, with an emphasis on community advocacy, nonprofit fundraising, social policy research, online marketing and social media. You can follow Kat on Twitter and Instagram. Love your çàfe your descdiption of. The area is not how I think of it many houses have been ruined by people doing the renovations that are crazy. Our street is very friendly, multiracial, and cultural. Love the weather.